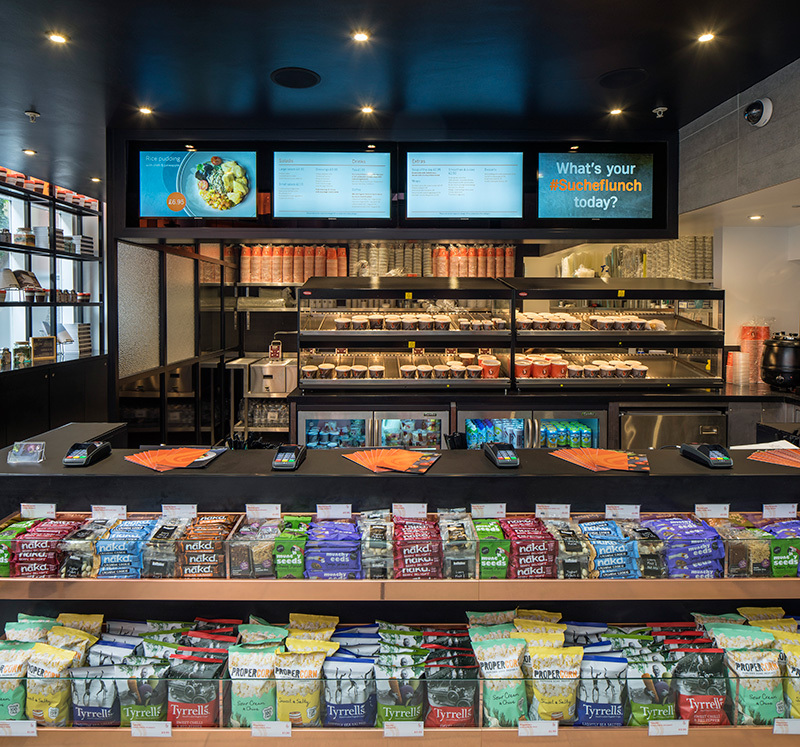 Suchef is a chain of nutritional food-to-go restaurants based in London from Aroma Food Group (UK) Ltd.
Aroma Food Group is an ambitious and innovative food company that pushes the boundaries within quality of food retail. They stand out in the ocean of competitors by developing powerful, go-to brands that celebrates inspiring food. Suchef is a delightful marriage of food on-the-go that is deliciously flavoursome. By using only the highest-quality ingredients, modernist cooking technology and innovative flavour combinations, Suchef philosophy embodies taste, well-being and international aroma. Suchef required a digital menu board solution that gave them the ability to regularly update content to their store locations. The solution needed to be networked and had to be scalable to account for future growth. They wanted a cloud based solution where they could log in online, anywhere they need to, and make changes to their menu items, pricing and promotions instantly. 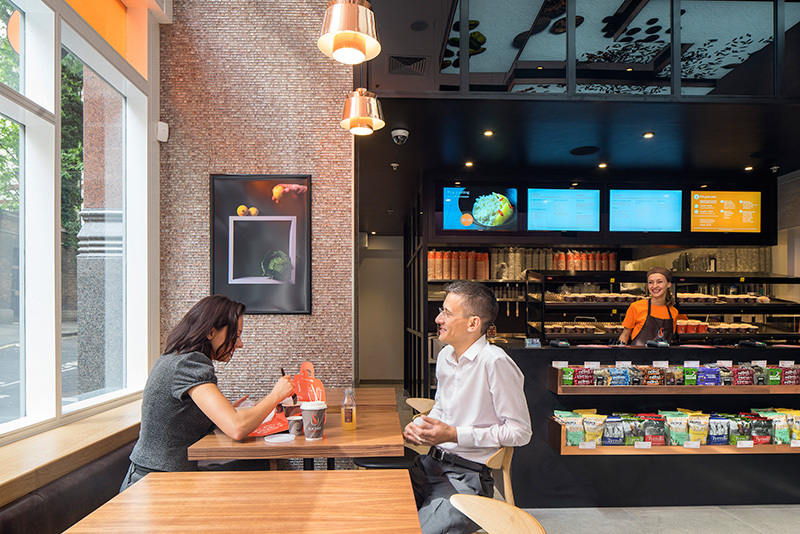 The core reason for using digital was to implement changes across all locations quickly, provide more flexibility with menu choices, pricing and stock and to enforce a modern brand image. After reviewing Suchef’s requirements Eclipse Digital provided a scalable, cloud based digital menu board solution using online, cloud based digital signage software; embedsignage.com. 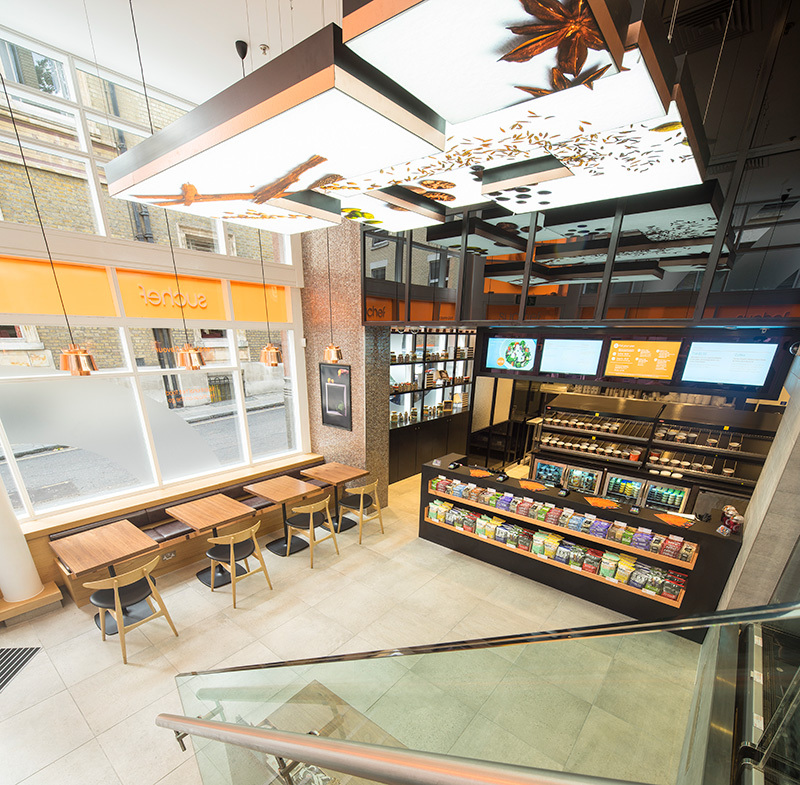 embed signage is used to manage and distribute the content, with ONELAN digital signage media players located in each store to deliver content to the displays. This digital menu board set up provides Suchef the ability to update menu board content instantly from any location with an internet connection, provide an overview of all content being displayed in each location and the device status’ for each store. It also gives Suchef the ability to add more and more locations under one account as they continue their rapid expansion across London. 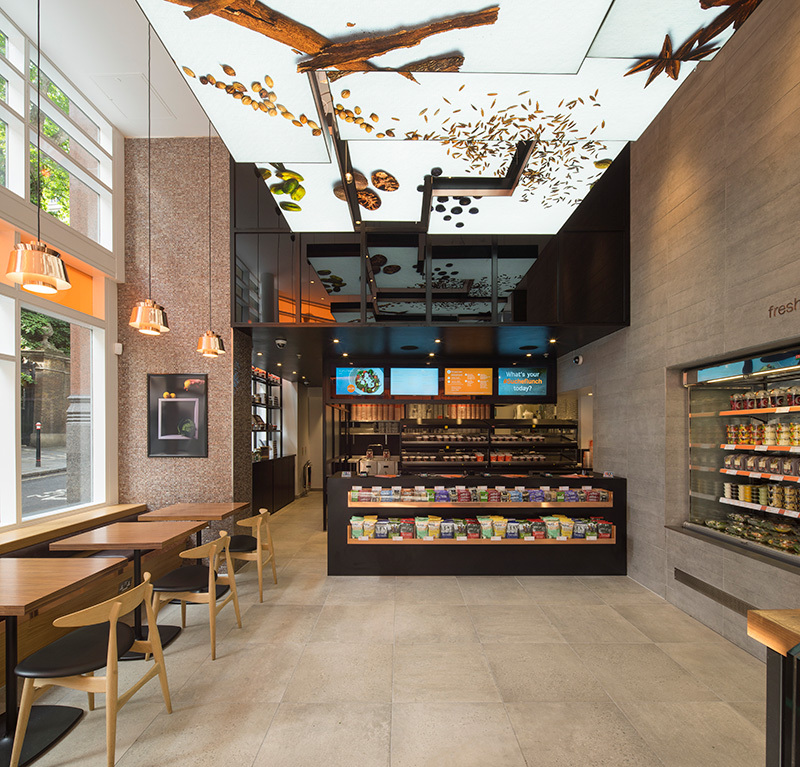 Suchef has installed Eclipse Digital’s menu board solution in their inaugural London store at Deanscourt (St Paul’s) and are installing in a further three London locations by October 2014 at Cowcross Street (Farringdon), Mansell Street (Aldgate) and City Road (Finsbury).